We are here to serve you! For our employee profiles, visit the Contact us page. The Association activities are supervised by a Board of Governors appointed at an election meeting annually. The Executive Committee appointed by the Board of Governors meets six times a year under the leadership of its chairman. The Executive Committee supervises the work of the mark committees for Key Flag Symbol, Design from Finland mark and Finnish Social Enterprise Mark and the Association’s employees. The Association shall have an Election Committee comprising 3-5 members. The term of office of the Election Committee shall be three years. The Association’s Election Committee shall propose members annually for the Board of Governors and the Executive Committee. Membership applications are dealt with at the Executive Committee meetings. The mark committees make decisions on the applications for mark licences. 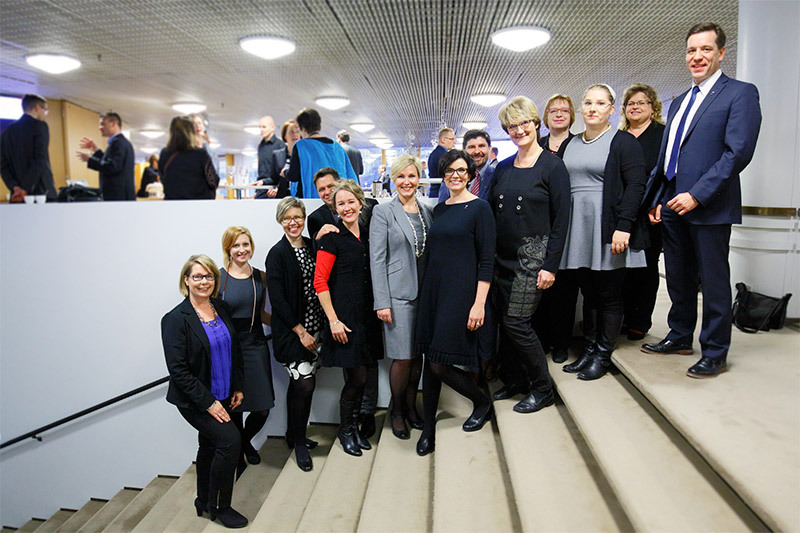 See the meeting schedules and the list of committee members (in Finnish). Meeting Schedule in 2019: 15.2., 10.4., 11.9., 16.10. and 12.12. 2019 the meeting schedules: 5.2., 9.4., 4.6., 10.9., 8.10. and 10.12. Meeting Schedule in 2019: 5.2., 4.4., 6.6., 5.9. and 28.11. Meeting Schedule in 2019: 6.2., 22.5., 25.9. and 11.12.